The Stick House is part of Middlepart Farm, which is arranged in a traditional courtyard layout. the buildings are constructed of sandstone. The steading is a little unusual as most of the courtyard farms in the area the buldings are arranged around three sides of the courtyard but Middlepart has the full four sides. 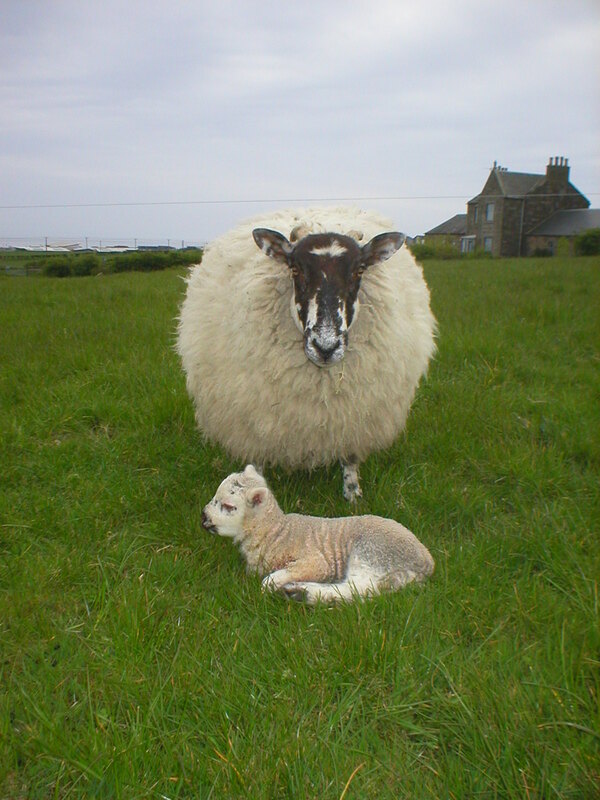 The Steading is clearly shown on maps dating from the eighteenth century but earlier maps indicate that there has long been buildings on this site. The aerial picture on the right was taken several years ago, before the Stick House was renovated and the Sun Room added. 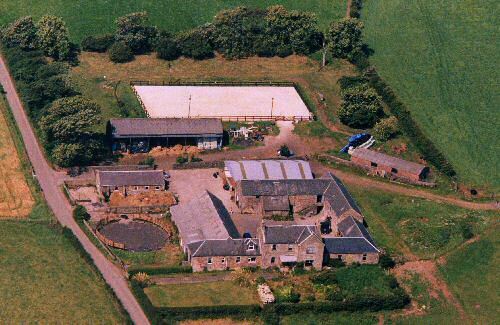 The farm used to be a dairy farm but now is run as a livery yard. 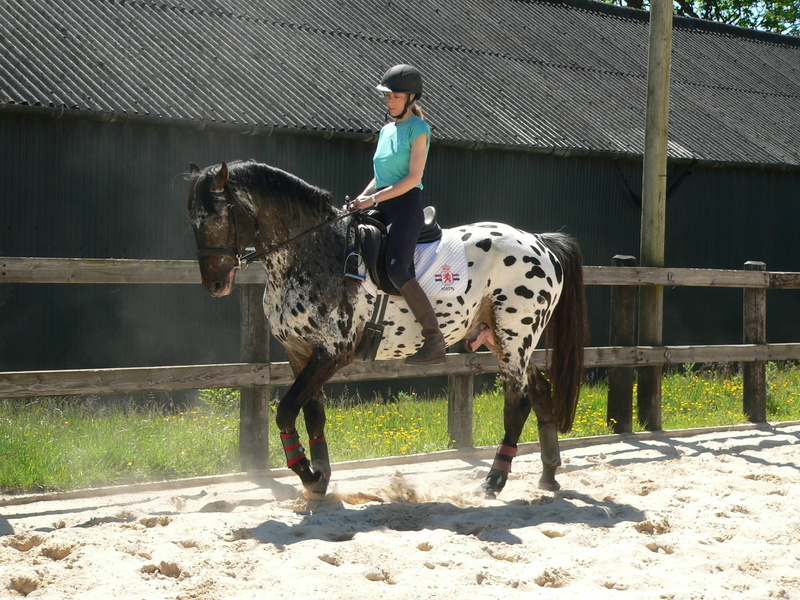 It is home to the dressage stallion Elljay Indiana, three times Scottish Spotted Horse and Pony Supreme Champion. 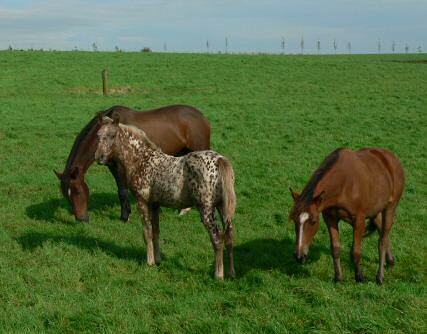 Our own horses are mostly Appaloosa, Knabstrupper and Lusitano. 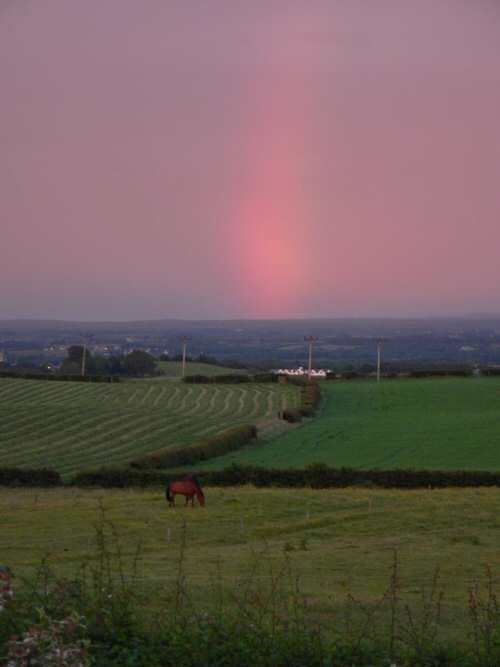 The views from the Stick House look out across the fields, above the towns of Kilwinning, Stevenson and Saltcoats to the sea. 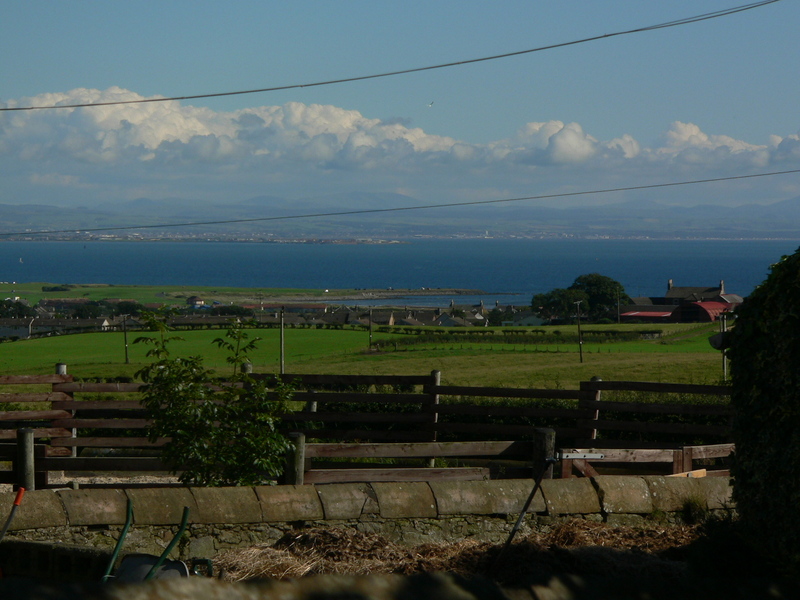 Irvive, Troon and Ayr can be seen in the distance. 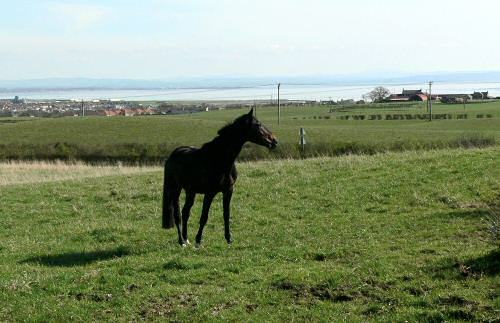 On a clear down the Heads of Ayr and even Culzean Castle can be seen. 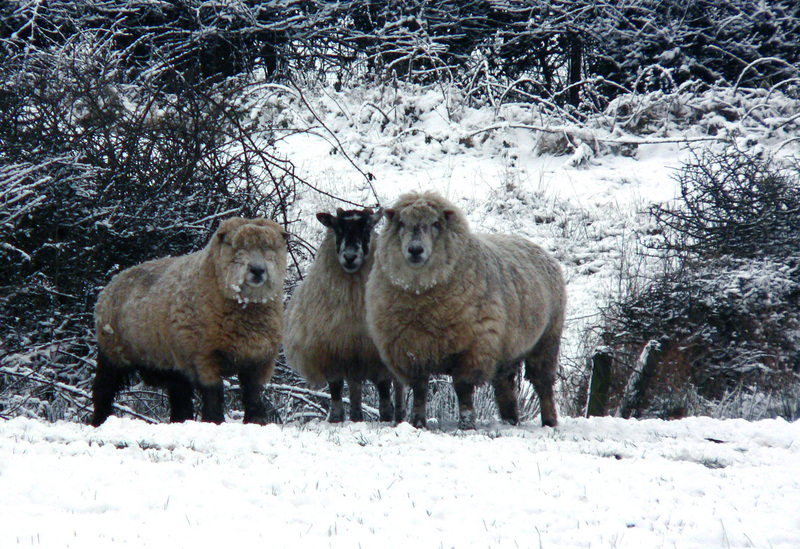 We have some sheep (grass-cutters) and free-ranging chickens and ducks.